Zanasi & Partners, as participant to the European security research project TRIVALENT, is delighted to invite you to the conference titled “Europe and the challenges of radicalisation: what answers?”. The conference will take place on the 24th of November 2017, from 9:00AM to 1:45 PM, at the “Aula Magna” of the Università Roma 3 (Viale Ostiense, 159) in Rome, according to the below agenda. TRIVALENT (Terrorism pReventIon Via rAdicaLisation countEr-NarraTive), funded by the European Commission under the framework of the Horizon 2020 programme, is carried out by an international consortium comprising 22 organisations (including 12 police forces) representing 10 different countries. Aim of the project is to study the violent radicalisation phenomenon, as it takes places both on line and within penitentiaries, and to develop tools for contrasting it, including the production of ad hoc counter-narratives. The repeated acts of terrorist violence in Europe, increasingly perceived by the public as a lingering threat, alongside the crisis of integration models coupled with intolerance and xenophobia, and the spread of trends dominated by fears and insecurities, pose a series of new challenges to European institutions and Member States in terms of internal security, cohesion and social stability. To address and successfully contrast those challenges – originating from a plurality of contexts and environments – it is necessary to develop responses that combine appropriate repressive measures with innovative preventive practices based upon the analysis and management of the causes and manifestations of the radicalization to violent extremism, through the close collaboration of all actors involved, including in particular the institutions, communities affected by ongoing radicalization processes and civil society organizations. The TRIVALENT project, with the firm commitment to promote integration, inter-cultural dialogue and respect of fundamental rights, aims to contribute to the debate and propose policies for the prevention of the radicalization to violent extremism in all areas that can become places of diffusion of the phenomenon and in which signs of attention to the dangers associated with it can arise, in order to define appropriate tools of early warning, together with the development of effective intervention policies, as regards also with new skills and training patterns. The main purpose of the conference, in addition to ensuring a greater visibility and dissemination of the ongoing research activities, will be to create synergies between project participants and relevant stakeholders (civil society, institutions, experts) in order to better focus objectives and methods of the research in progress. The conference will be divided into two thematic workshops according to the attached programme. – 9:30-11:30: Roots and contexts of violent radicalization in general and as regards young people: early warning, preventive measures, and related policies. Focus: Early detection and prevention of radicalization risks and threats, in general and with regard in particular to schools, universities and territories (communities), as well as in the web (social media), as places where values, lifestyles, world views, opinions should be confronted without any sort of violence, through dialogue, confrontation of ideas, and the participation in public life activities, with the aim to develop innovative methods and tools for countering such risks and threats. – 11:45-13:45: Radicalization in prisons and prevention/deradicalisation programmes, counter/alternative narratives, and new skills for LEAs’ personnel and civil society stakeholders. Focus: Acknowledging experiences concerning prevention and deradicalisation programmes addressed to radicalised individuals or at risk of radicalisation, as regards in particular detention places, shaping counter- or alternative narratives to radicalization, and developing new skills for LEAs’ personnel and civil society stakeholders. 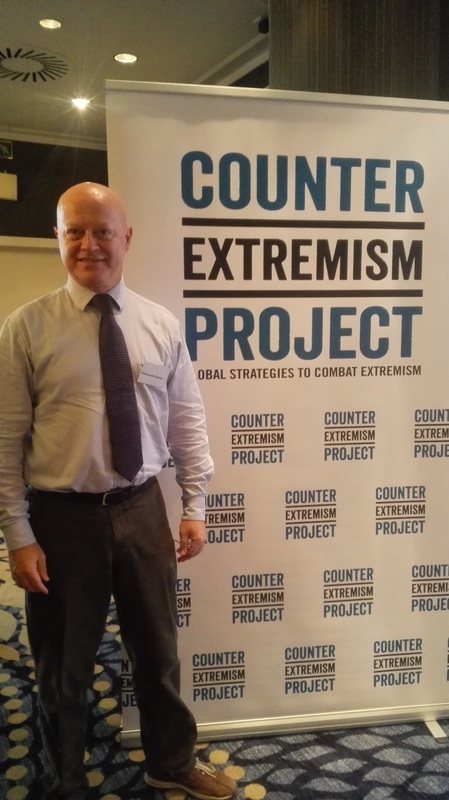 Zanasi & Partners’ CEO, Mr. Alessandro ZANASI, attended the “Building Alliance – Preventing Terror Conference“, organised in Brussels by the Counter Extremism Project. During the event, Mr. Zanasi has had the opportunity to interact with former Polish Minister of Foreign Affairs – now MEP and Chair of European Parliament subcommittee on Security and Defence – Ms. Anna FOTYGA. Ms. Fotyga was briefed about the TRIVALENT project, a research effort dedicated to counter the spread of radicalising narratives, promoted by Z&P and funded by the European Commission. TRIVALENT can notably count on the support, as full project partners, of 11 law enforcement agencies, three of which (National Police, Gdansk and Radom Local police forces) based in Poland. Fabio RUINI, coordinator of Zanasi & Partners’ research activities, participated to the “Visioning Conference” organised within the context of the EC-funded NewHoRRIzon research project. Hosted in the premises of the Fondation Universitaire in Brussels on the 5th and 6th October, the event gathered a selected group of Horizon 2020 experts in order to discuss how to promote Responsible Research and Innovation (RRI) in FP9 and beyond. 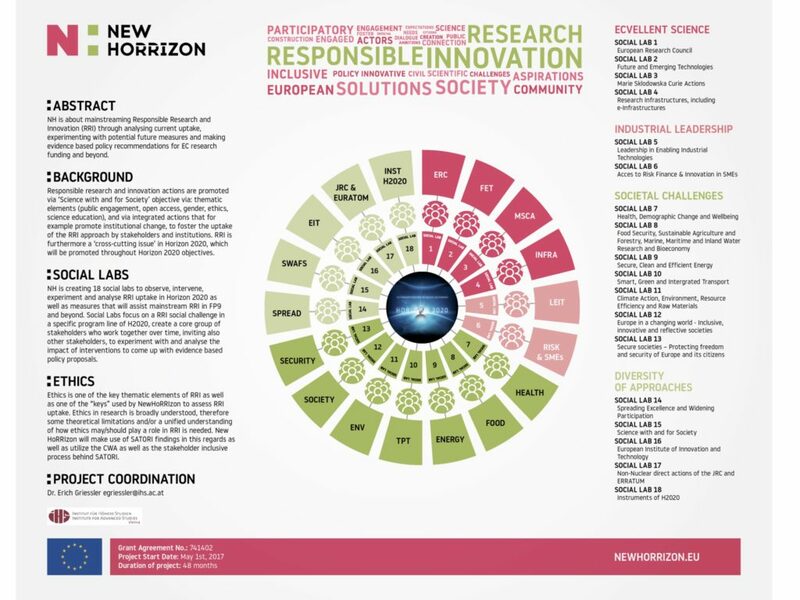 Coordinated by IHS (Institute for Advanced Studies, Vienna), NewHoRRIzon is a research project that aims at integrating Responsible Research and Innovation (RRI) in the Innovation and Research systems on national and international levels. The concept of RRI is an approach which intends to bridge the gap between science, research and innovation communities and society at large by fostering more inclusive, anticipative, open and responsive research and innovation systems. In this frame, multiple stakeholders (from research, business, policy making, education and civil society) are involved in research and innovation on the project and system level to better align its processes and outcomes with the values, needs and expectations of society. A first big step was the operationalization of RRI into the following six key elements: ethics, gender equality, governance, public engagement, science education and open access. 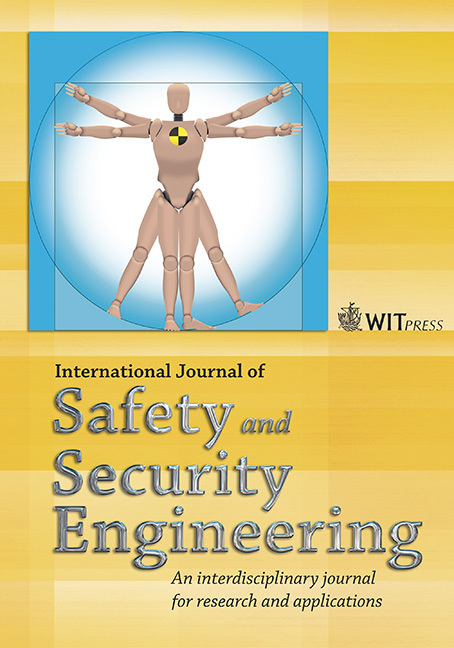 Alessandro Zanasi, Fabio Ruini and Alessandro Bonzio, from Zanasi & Partners, have published a scientific article on the International Journal of Safety and Security Engineering, titled “Intelligence Analysts’ Training Through Serious Games: The LEILA Project“. The article takes inspiration from the work carried out during the LEILA project, a research project co-funded by the European Commission (within the context of FP7 programme), running from 2013 to 2015. LEILA investigated innovative methodologies for the development of the core competencies required for performing intelligence analysis. Building upon an in-depth study of intelligence analysts’ learning needs and inspired by a multitude of disciplines, LEILA developed a set of serious games, embedded into four comprehensive ‘learning experiences’ dedicated to intelligence analysis trainees. While the main target of LEILA is law-enforcement intelligence analysts, the competencies addressed by its learning experiences are potentially relevant to analysts operating across various sectors. 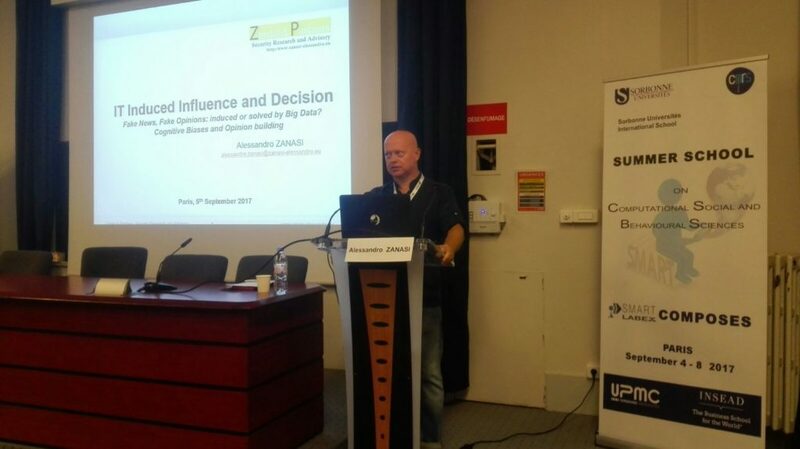 Zanasi & Partners’ CEO, Mr. Alessandro ZANASI, has been invited to deliver a speech at SMART 2017, the Summer School on Computational Social and Behavioural Science organised in Paris by the Sorbonne Universités within the context of the SMART Labex project. During his speech, titled “IT-induced Influence and Decision”, Mr. Zanasi discussed about the issue of fake news and the role that Big Data plays both in favouring their spread and as a tool for contrasting them. A scientific article co-authored by Zanasi & Partners’ CEO Alessandro Zanasi and Fabio Ruini, titled “Using Social Media in Crisis Management. 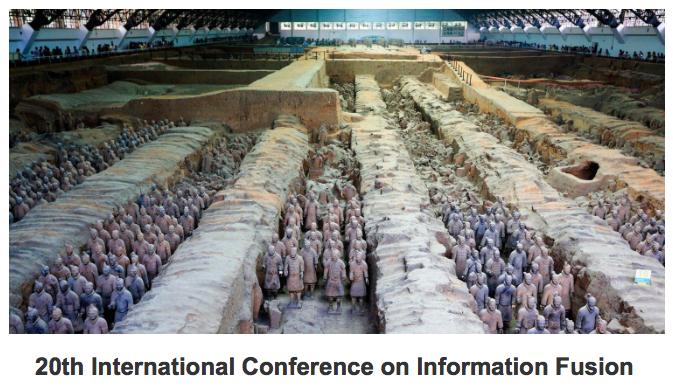 SOTERIA Fusion Center for Managing Information Gaps” has been presented at FUSION 2017, 20th edition of the International Conference on Information Fusion, held in Xi’An, China, from the 10th to the 13th July 2017. The article describes the “Fusion Center”, a key element of the platform developed during the SOTERIA project, aimed at integrating social media into public safety organisations’ crisis response procedures. Zanasi & Partners, in particular, during the project was responsible for the development of functionalities to: 1) automatically identify social media posts describing emergency situations and classify them according to the kind of emergency described; and 2) prioritise messages in order to facilitate PSO’s response. The work has been presented at FUSION 2017 by Claire Laudy-Fraubolet, from Thales, who co-authored the article together with Zanasi & Partners’ Alessandro Zanasi and Fabio Ruini, and ITTI‘s Marcin Przybyszeski and Anna Stachowicz. 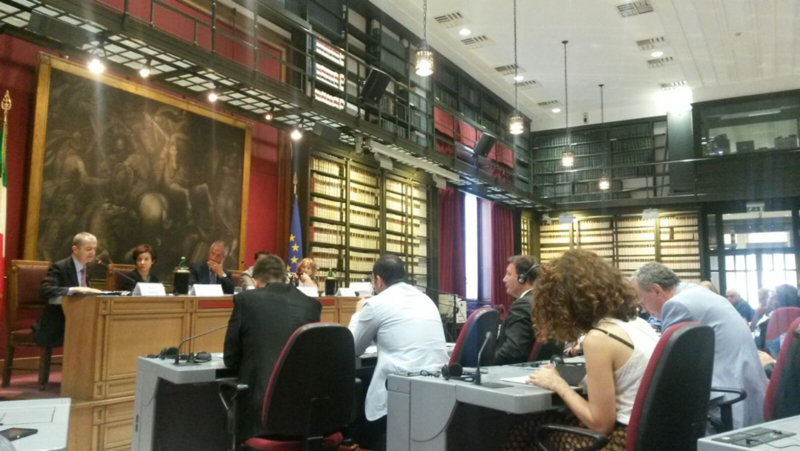 ROME, 22nd June 2017 – The EC-funded research project TRIVALENT has officially started with a conference dedicated to “Europe and the challenges of radicalisation: what answers?”, held at the Italian Chamber of Deputies. 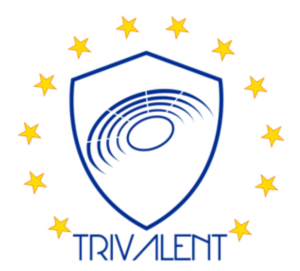 TRIVALENT (Terrorism pReventIon Via rAdicaLisation countEr-NarraTive), entirely funded by the European Commission within the framework of the Horizon 2020 programme, is a research project carried out by an international consortium comprising 22 organisations (including 12 police forces) representing 10 different countries. Aim of the TRIVALENT project is to study the violent radicalisation phenomenon, as it takes places both on line and within prisons, and to develop methodologies and tools for contrasting it. In front of over 100 participants, the panel of speakers invited to the conference engaged in an in-depth discussion on radicalisation and security, moderated by Italian newspaper Il Sole 24 Ore’s Marco Ludovico. On. Massimo Artini, vice-president of the Defence Commission at the Chamber of Deputies, highlighted the enormous importance of getting a better understanding of how the radicalisation process works, which is one the main aim of the TRIVALENT project. On. Rosa Maria Vilecco Calipari, member of Copasir (Comitato parlamentare per la sicurezza delle Repubblica), also referring to the results of recent studies, stressed on the positive experience of C.A.S.A. (Comitato di Analisi Strategica Antiterrorismo) to underline how security can only be guaranteed when all the relevant information available is shared in a timely and exhaustive fashion between all the parties responsible for prevention and contrast. Gen. Leonardo Tricarico, former chief of staff of the Italian Air Force and military advisor to three successive prime ministers, offered interesting insights on the relationship between security and privacy, suggesting how the latter should not represent an obstacle for the former. Ing. Alessandro Zanasi, CEO of Zanasi & Partners, initiator and participant of the TRIVALENT project, has declared: “the only possible solution for addressing the problems raised by terrorism and radicalisation consists in using the instrument of funded research to make possible for private and public organisations to develop new security technologies and to improve the understanding of the rationale behind people undergoing a radicalisation journey”. The Italian government, who participates directly to the project with the Ministry of Interior (Polizia di Stato) and the Ministry of Justice (Polizia Penitenziaria) was also represented at the kick-off by authorities participating on behalf of the Ministry of Defence, of the Ministry of Economy and Finance, and of the Comando Generale of Carabinieri and of Guardia di Finanza. Zanasi & Partners (http://www.zanasi-alessandro.eu) is an Italian SME specialised in research, training and advisory in the fields of security and Intelligence. Clients include European, Middle Eastern and North Africa government, public security agencies and large industrial groups. 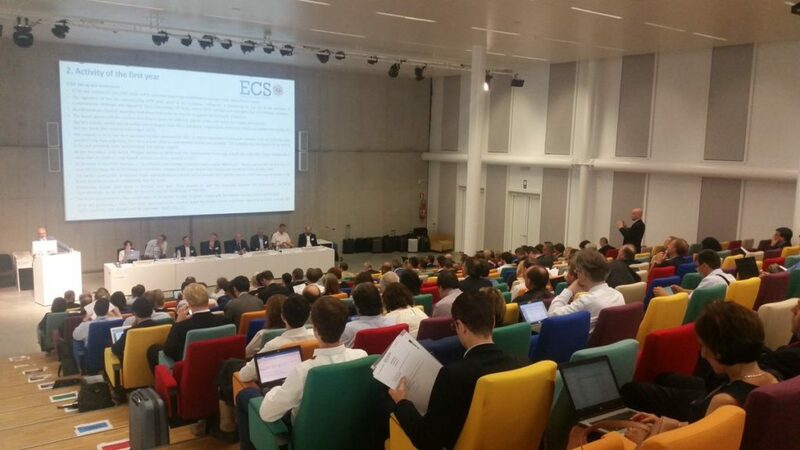 Dr. Fabio Ruini, responsible for Z&P’s cyber-security activities, attended in Brussels the Annual Generaly Assembly of ECSO (European Cyber Security Organisation) held on the 21st June 2017. 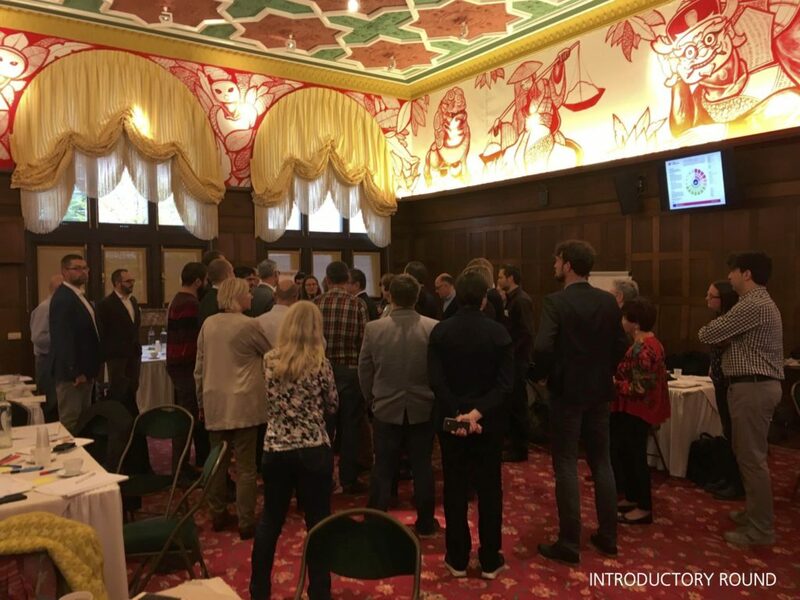 The event represented the opportunity for summarising the activities carried out by ECSO and its members in the previous year and for deciding on the entrance of new members into the organisation (now 205). The Annual General Assembly also served for electing the new members of the ECSO Board of Directors (3 from the users/operators category, 2 from the SMEs, 2 from RTO/university, 1 from regions/clusters, 5 from large companies) and of the Partnership Board. The conference will take place on the 22nd of June 2017, from 4:00PM to 6:30PM, at the Chamber of Deputies (Sala del Mappamondo, Piazza Montecitorio 1) in Rome, according to the agenda available online. The meeting will constitute the inaugural event of TRIVALENT. Participation to the conference is free of charge, although early registration is mandatory. You are therefore kindly asked to confirm your participation, by getting in touch with Mr. Alessandro Bonzio via email (alessandro.bonzio@zanasi-alessandro.eu) or via phone (+39 333 5053983). Access to the room is allowed until reaching the maximum allowance permitted and following the exhibition of an ID. Semi-formal/business dress code will be in place (jacket and tie required for men). A simultaneous translation (English -> Italian, Italian -> English) service will be provided during the conference. 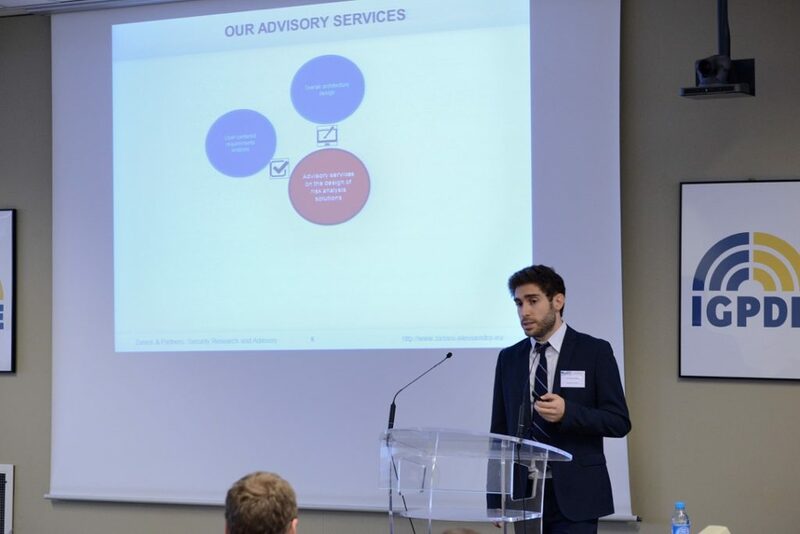 Mr. Alessandro Bonzio has represented Zanasi & Partners and the BODEGA project consortium at the Joint Exploitation Event, carried out in Paris, at the Institut de la Gestion Publique et du Développement Économique – IGPDE (Ministère de l’Économie et des Finances) on the 19th May 2017. Mr. Bonzio has delivered a speech exploring the exploitation potential of the activities carried out by Zanasi & Partners within the BODEGA project, with a special focus on a solution for early detection of high-risk travellers. Building on the research carried out during the project, Z&P has enriched its advisory portfolio with a new set of services specifically aimed at supporting the design of risk assessment software that meets the operational as well as the human factor needs of border control officers.